The modest stone manor house was built by the Lyte family in 1286 and was gradually extended over the 500 years they were in residence. The family emblem of a swan can be seen on the gable above the entrance porch. The house is reached up a short flagged path which leads to the heavy wooden door. 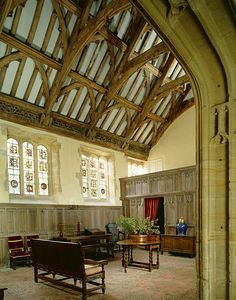 The Great Tudor Hall was added around 1450 and the impressive Great Chamber with its fine plasterwork ceiling was finished in 1533. The interlaced hexagons and diamonds are studded with colourful heraldic bosses. Just off the Great Hall is a smaller oriel-shaped room where the family would have dined away from the servants. It rises to the full height of the house with carved angels looking down from the lofty rafters. 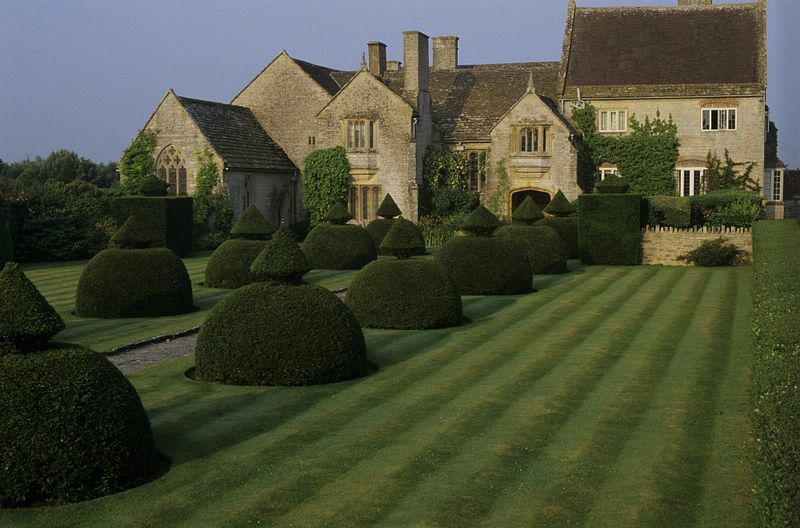 The majority of this small manor house dates back to the 16th century when John Lyte was the owner. 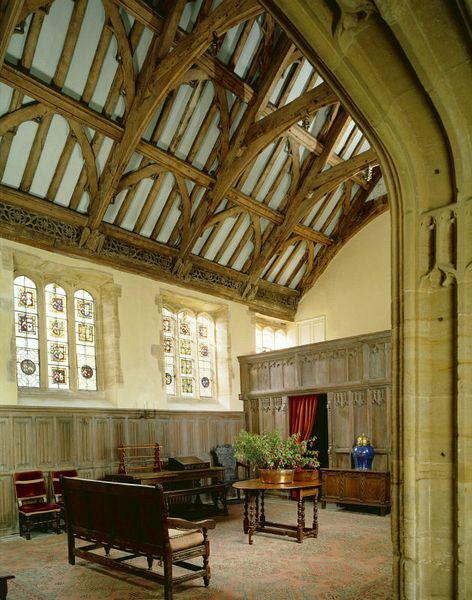 The Great Parlour was probably added later and has early 17th century panelling. The north and west extensions were constructed in the 18th century yet were built in keeping with the age of the old house and still have a feeling of great antiquity. quickly became a best seller. A first edition is on display within the manor house. After the Lyte's family departed in 1748 the house was neglected and by the 20th century the manor had become derelict. It was rescued in 1907 by Sir Walter Jenner who painstakingly restored the interior in period style. 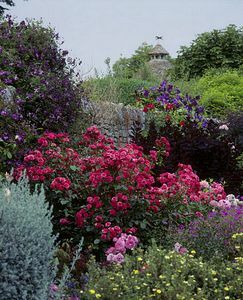 He also worked on the garden, creating a small Arts and Crafts garden with a series of hedged outdoor rooms, adding topiary, statues and colourful herbaceous borders. The gardens continue to be immaculately kept and are a delightful part of any visit to Lytes Cary Manor. The open lawns, tranquility pool with statues of Flora and Diana, the orchard and hidden paths are all designed to reveal some surprisingly lovely views of this area. The shady tunnel of hornbeam and the secret garden are particular pleasures to enjoy. There is also a herb border, stocked with the plants mentioned in the "Lyte's herbal" book. The property was bequeathed to The National Trust by Sir Walter Jenner in 1949 and the Trust has continued to use his design to replant the beds in the Arts and Crafts style. There is a small kiosk serving refreshments and a shop selling garden plants and gifts. First 377 Wells-Yeovil, 54/A/B/C Taunton - Yeovil (passing close Taunton). Both pass within ¾ mile Yeovil Pen Mill. Alight Kingsdon, 1 mile. Near village of Kingsdon, off A372. Signposted from Podimore roundabout where A303 meets A37. Yeovil Pen Mill 8½ miles; Castle Cary 9 miles; Yeovil Junction 10 miles.